Year after year there's a denim trend that I end up falling in love with it. This year my most loved item from my 20's, which I wore for clubbing and holidays has made a comeback. 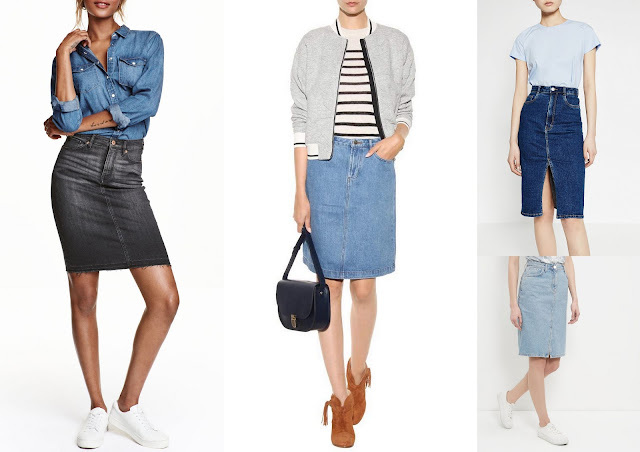 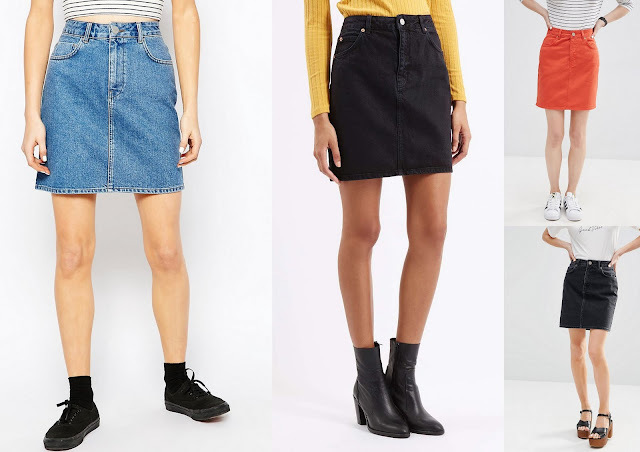 Yes, the good old denim skirt. I was umming and ahhing for months, as I wasn't sure I wanted this trend back in my wardrobe, but I did say that about the bomber jacket and that has somehow crept back in. 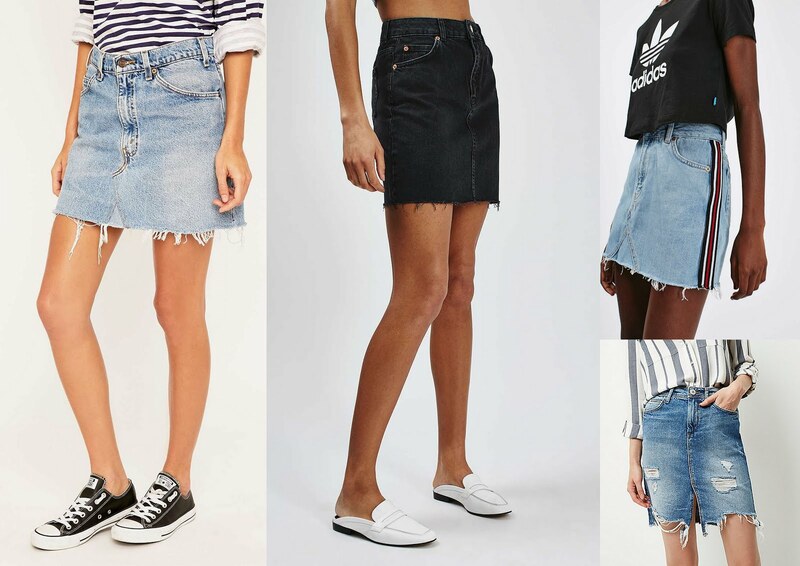 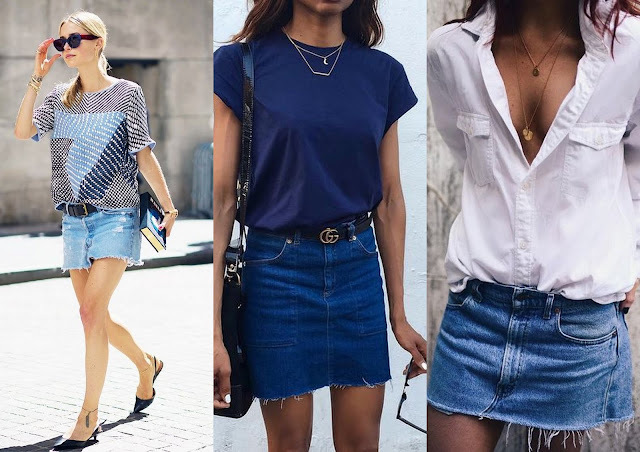 I prefer wearing shorts than skirts as it's more practical for me, but the mid thigh/knee length denim skirts are growing on me. 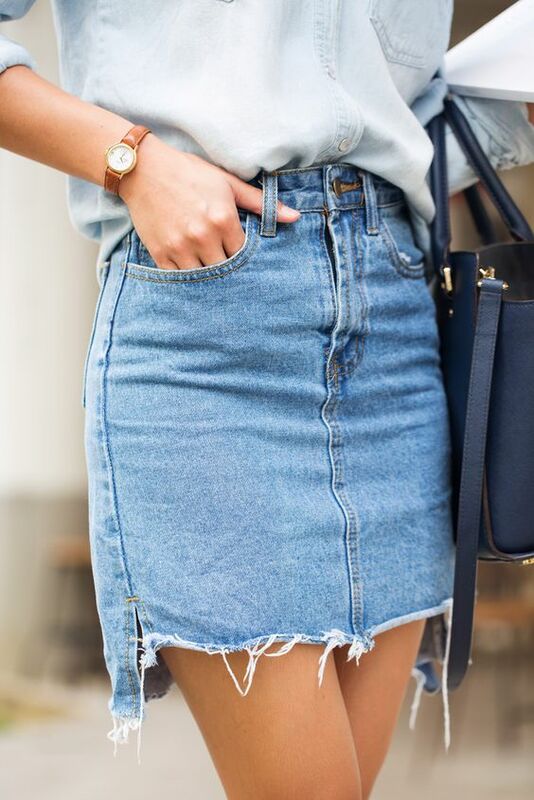 The below skirt was a perfect fit for me (See here). 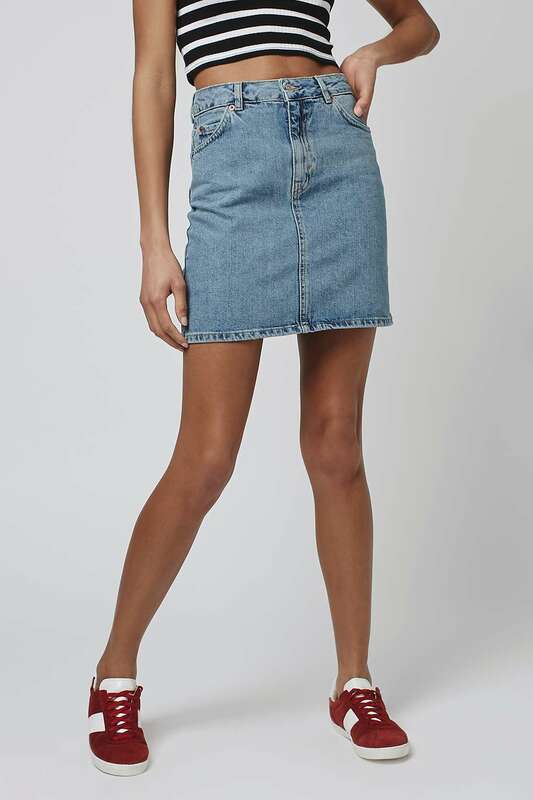 I would style this with a cami or t-shirt paired with trainers. For an evening look wear heels or ankle boots and tuck in a cami or shirt.